Set in one of the most desirable addresses in West Swansea this magnificent Edwardian residence commands an immeasurable presence over Langland and Rotherslade Bays from its lofty position. A brisk walk takes one to Underhill Park and to the café culture of Mumbles village with its lively restaurants and bars and historic Norman castle at its centre. This outstanding six bedroom family home arranged on three floors has been carefully and thoughtfully improved in recent times to reflect its wonderful situation adding twin balconies and bay windows to its front facing bedrooms, opening the reception rooms to provide light and airy accommodation yet retaining the warmth and charm of its original character.The eye catching features of this family home are many and varied and should be viewed to be appreciated. Gardens are generous and welcoming while there is a driveway and forecourt with parking for seven vehicles. Into a bay window with French doors opening onto a verandah, book shelves to recesses with concealed lighting, marble fireplace and multi fuel fire sitting on a slate hearth, cornices and picture rail, covered radiator, oak floor. Into a hardwood bay window with window seat, open fireplace in marble with slate hearth and multi fuel fire cornices and picture rail, covered radiator, oak floor. Two piece suite comprising low level wc, wash hand basin, oak floor. Double glazed window to side, Feature wall mounted living flame gas fire, coving, radiator. An eye catching executive fitted kitchen with an island at its centre incorporating built in sink unit, glass fronted cabinets with granite work surfaces, 6 ring gas range with double oven and extractor over, fitted cupboards with wine rack, walk in larder. Panelled glass ceiling and twin patio doors opening onto garden at rear, ceramic tiled floor. window with views over rear garden, stairs to second floor. Three piece suite in white comprising low level wc, wash hand basin. Into a bay window with a lovely sea view, Double glazed window to side with sea view, inset working feature fireplace and firegrate, traditional cast iron radiator. Into bay enjoying a delightful open aspect over the sea bordered with mature trees to provide privacy, double glazed window to side, traditional cast iron radiator, cornices and picture rail. Double glazed window overlooking garden to rear, radiator. Double glazed window to side, luxury three piece suite by "Sottini" with roll top bath and clawed legs, wash hand basin, low level wc, spotlights to ceiling, coving, Amtico floor. 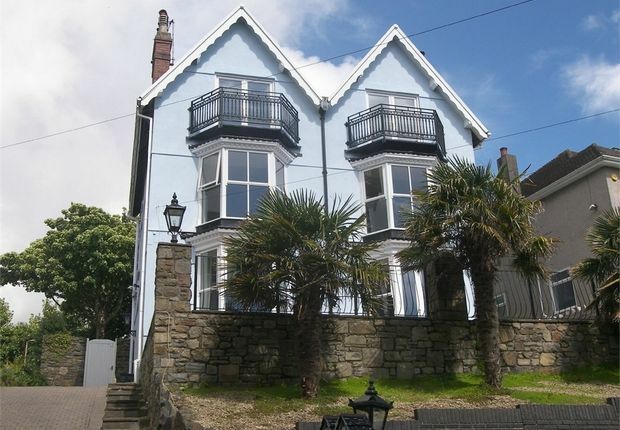 Double Doors opening onto a stunning balcony enjoying a superb outlook over Rotherslade, spotlights to ceiling, radiator. Double door leading to balcony enjoying a delightful aspect, spotlights to ceiling, radiator. Window to side, three piece suite in white comprising low level wc, wash hand basin, panelled bath, heated towel rail. Accessed via ladder form second floor landing with skylight windows and ample provision for storage space. Please be advised that to the front of the property planning permission has been applied for to extend the lawned garden at the boundary and provide a triple car port with natural grass roof. To the rear is a generous and enclosed garden reached via a meandering gravel footpath. A mature lawn is bordered by mature shrubs and trees and a garden shed. The property is protected by security cameras. 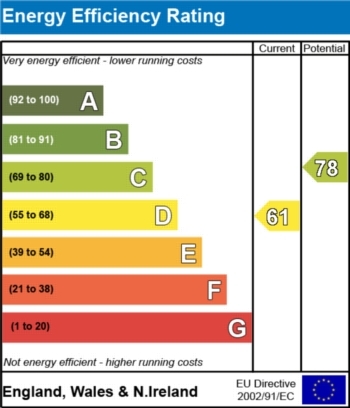 A CCTV System and Burglar alarm are installed together with a centrally wired smoke alarm.